The arrival of spring is often characterized as a symbol of rebirth, bearing new beginnings, new life, and of course, an abundance of wonderful spring festivities! 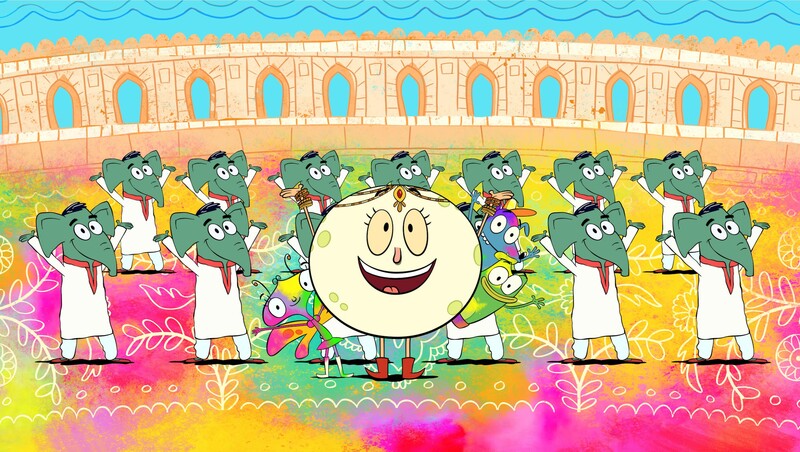 In celebration of blooming flowers, warm sunshine and returning wildlife, Luna is taking you and your little adventurer on a quick trip to learn about some of the amazing spring festivals that take place around the world. Buckle up, we have four wonderful destinations to explore! Taking place in Northern India, Holi is known as the festival of colors and is held at the beginning of spring to honor a season of bright colors and friendship. 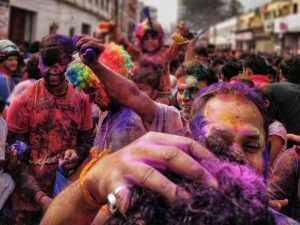 Festival attendees celebrate Holi by throwing colored powder and colored water on each other in the streets! Songkran is a three-day festival that marks the Thai New Year and is dedicated to cleaning, reflecting, and paying respect to the elderly community. During this festival, youth pour scented water over the hands of their elders for good luck and prosperity, and people of all ages (including tourists) engage in an entertaining and playful water fight! When spring rolls around in Japan, the locals enjoy celebrating a traditional custom known as Hanami. 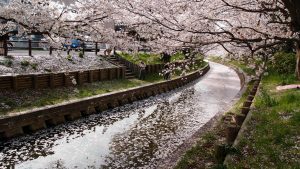 This festival is unique because it represents a time of picnicking and outdoor festivities that occur beneath beautifully blooming cherry trees. 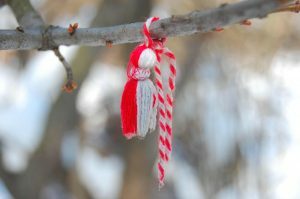 In Bulgaria, friends, family and neighbors gift one another with small woven red-and-white bracelets called martenitsi. These bracelets are worn as a symbol of happiness and represent the end of winter (white) and the beginning of spring (red). At the first signs of spring, many Bulgarians place their martenitsi on fruit trees in hopes to encourage a fruitful season. Now that you’ve learned about some of the amazing spring festivals that take place around the world, how do YOU intend on celebrating the arrival of spring?